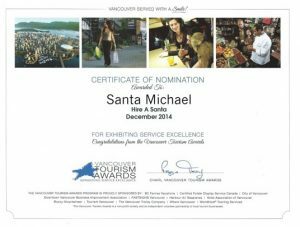 We are so proud of Santa Michael for his 2014 nomination for Tourism Vancouver’s Service Excellence award! Way to go! 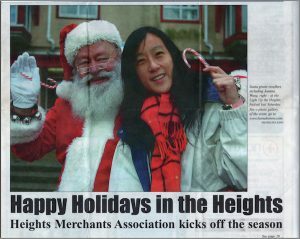 From a special holiday edition of myVancouver, tips on buying the perfect Christmas tree, here is a trip to the German Christmas market, where a local angel restores bikes for needy boys and girls and the agent who books Santa himself. myVancouver 415 Christmas edition from Laura O’Grady on Vimeo. 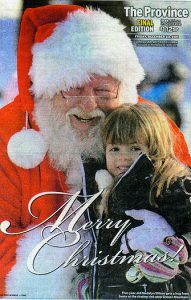 Watch a little girl interview Santa at the mall.